If even just a small percent of the world’s cruise ships turn North, the impact would be enormous. The benefits for communities might be harder to spot. In the coming week, the cruise industry gathers in Miami for Seatrade Cruise Global, an annual convention. Most of those there to do business will be concerned with buying or selling space aboard cruises headed to sunny destinations; the industry reckons that two-thirds of voyages take place in the Caribbean or Mediterranean. But even for less popular destinations, there is plenty of business to be done: Globally, cruise tourism’s direct economic impact in 2017 was $134 billion, a 6.3 percent annual increase, according to industry statistics. The industry has grown 60 percent over the past decade, outstripping the growth of tourism in general by a fifth. There are few signs of a contraction anytime soon: Most cruises operate over capacity and 50 more ships are currently under construction. Worldwide, the number of cruise ship passengers was projected to be 27 million in 2018, just the latest in a string of records. Mostly, the industry has responded to constant growth by sending more people to the same places, aboard ever-larger ships (the largest of which now carry upwards of 6,000 passengers; two planned 9,000-passenger vessels would be the largest ever built), but giving returning passengers a reason to book their next cruise requires adding different destinations, something that may also appeal to new segments of travellers. Today, cruise ships call on 1,000 ports worldwide, and there are cruises on nearly all of the world’s waterways at just about any time of the year. The near-disaster of the Viking Sky, a cruise ship that came close to running aground off Norway in March, suggests that not all winter vacationers are looking to come home with a tan. Is it also a reminder that the ships that are being sent north were not built to sail there specifically. 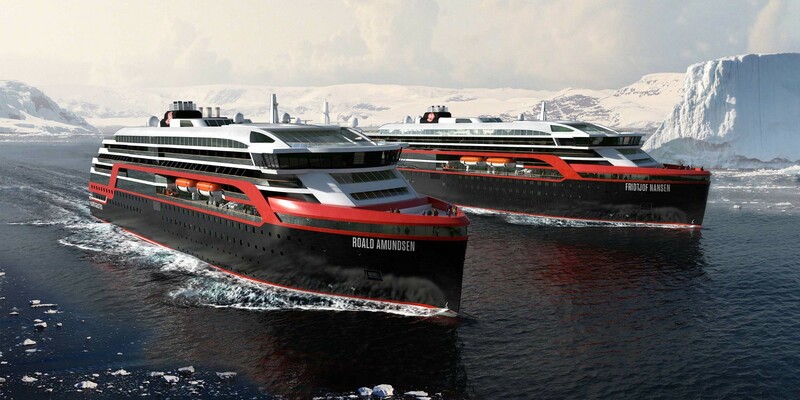 The Polar Code, a set of IMO regulations, sets training and equipment standards for ships sailing in the Arctic and Antarctic, but easier sailing conditions means the region will be open to more vessels for longer periods, and more people wanting to go there before the thrill of sailing near ice disappears entirely. For places that manage to attract cruise ships, more is not necessarily better if they hope to see ships come back. Some of these ships carry more passengers than live in the cities, towns and settlements they call on. That makes overcrowding a constant concern. For passengers, being one of too many visitors makes it harder to have what one perceives to be authentic natural and cultural experiences. Residents often resent having their town overrun by visitors — especially if those visitors cross cultural and personal boundaries. The industry’s size makes it easy for aspirational ports of call to overlook these and other potential drawbacks, but they should understand that ships are not floating piggy banks. Destinations are first and foremost places where passengers can be set ashore. Everyone hopes that they spend money while they are there, but people on an all-inclusive cruises have little incentive to buy meals or anything else they can get for free back on the ship. Likewise, as the cruise industry grows, firms are concentrating on their on-board amenities in order to attract passengers; as ships add things like skydiving simulators, robotic bartenders and celebrity chef kitchens, there is less reason to leave the ship at all. One benefit of cruise ships is that they make it easier for destinations to plan ahead by telling them how many guests will arrive on a certain day. For local guides and the like, this allows them to know how many potential customers they should prepare for. Land-based travellers, in contrast, do not have their arrival announced ahead of time in the same manner, nor do they arrive as part of huge groups. The benefits are compounded if destinations can work with cruise lines so customers can book tours ahead of time. Cruise ships take a cut for helping out this way, but local businesses may prefer to earn less per customer in exchange for having a guarantee they will come at all. Some destinations try to avoid the drawbacks of cruise tourism by concentrating marketing efforts on smaller ships known as expedition vessels. These are typically more luxurious vessels that are more suited to ports with limited infrastructure. Right now, they are seeing a boom in construction. Many of these ships have been designed with polar navigation in mind. Passenger taxes and the like imposed by authorities can generate revenue, but they also add to the cost of the ticket. Ships buy some supplies locally, but generally they set sail with what they need. This leaves passengers as the biggest potential source of income, but the math suggests this means destinations might come out on the losing end. Globally, average on-shore spending is estimated to be about $80 per passenger. For a vessel carrying 1,000 people, say, that amounts to $80,000. Not bad for a visit that lasts a day — but also not enough to become a long-term source of sustainable income for many ports of call.